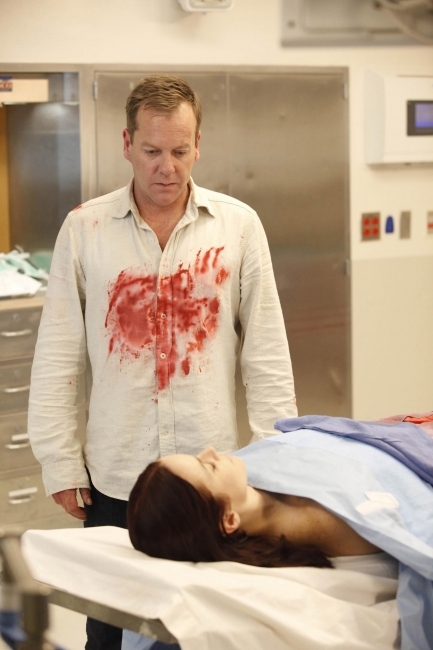 Renee Walker (Annie Wersching) joined forces with Jack Bauer (Kiefer Sutherland) in Season 7 of 24, becoming a fan-favorite character. She appeared this season as very emotionally troubled and on the outs with the FBI. Nonetheless, she assisted CTU and even saved Jack’s life. In a tender moment, Renee and Jack made love, both of these tormented warriors leaving behind their emotional baggage. Moments after the two consummated their relationship, a sniper’s bullet ended Renee’s life, upping the angst level. Jack is now out for blood. He disemboweled Renee’s murderer (Joel Bissonnette) after torturing him. The final hours of 24 are ticking by, proving once again that nobody’s safe and there’s no such thing as a happy ending for poor Jack (this list doesn’t get much better for him).